First, a disclaimer. This is a really complicated, confusing topic. It’s so complicated that there’s little agreement between fertility doctors. We’ve boiled down some research to illustrate the issues, but, as you’ll see, there are some questions regarding mosaicism that don’t have clear answers. But, if you’re considering PGS, it’s important for you to understand what the issues are, so that you’re prepared to ensure that you’re getting all the information from your clinic and lab that you need. The initial hope for PGS was that it could provide a black-and-white answer on whether an embryo had the correct number of chromosomes and was therefore fit to transfer. In the last few years, we’ve come to realize the importance of a grey area called mosaicism, which can sometimes give patients more ambiguous results than they’d hoped for. A few basics: When an embryologist biopsies an embryo for PGS screening, they cleave a few cells off of the outer layer of the embryo, called the trophectoderm, which will eventually become the placenta. They’re not taking anything from the “inner cell mass,” which will become the fetus. Sometimes, the samples that are biopsied are “mosaic.” This means they contain cell lines that are chromosomally normal (euploid), and they also have cell lines that are chromosomally abnormal (aneuploid). So the sample being screened is sending mixed messages, looking partially normal, and partially abnormal. For example, in the illustration below, you’ll see that the trophectoderm cells on the outside of the blastocyst are mixed between normal and abnormal, so depending on where an embryologist takes a sample from an embryo like this one, they could get all normal cells, or a mix of normal and abnormal. The core question for patients is, what should be done with mosaic embryos? Should they be transferred? Should they be discarded? To answer this, there are some issues we need to understand. How many cells need to be different for an embryo to be mosaic? One question that arises is how many cells need to be normal, or abnormal, for the embryo to be considered mosaic? There is debate on that. Some labs think that if between 10% - 90% of the cells are abnormal, the embryo should be considered mosaic, while others believe the definition should be narrower at 20 - 80%. Right now, there is no standard definition, but use of the 20 – 80% definition is growing. The truth is a somewhat frustrating answer: we don’t know for sure. There are some studies that have looked into mosaicism rates, but an across the board rate hasn’t been pinned down for certain – estimates in the scientific literature have an enormous range, starting at four percent, and sometimes going above 70 percent! The big reason that reported mosaicism rates are all over the place is that it’s impossible to confirm or deny mosaicism in the regular course of practice using patients’ embryos. This is because PGS testing involves taking a very small sample of five to seven cells. It can harm an embryo to take more cells than that. So PGS uses the cells in the biopsied sample as a proxy for what the cells are like in the rest of the embryo. To test the entire embryo would make it impossible to transfer, so it can’t happen in the real world of clinical medicine. 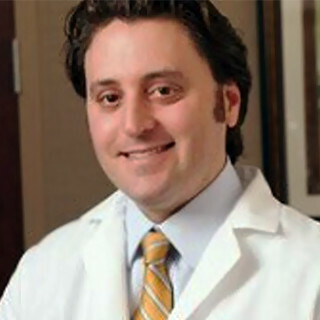 One estimate of the overall mosaicism rate was recently given at the American Society for Reproductive Medicine’s 2016 conference (ASRM) by Santiago Munne. Munne is the founder of Reprogenetics, and one of the lead innovators behind high resolution Next Generation Sequencing (NGS), a PGS testing platform that’s more sensitive to mosaicism than previous technologies. He showed that high resolution NGS detects mosaicism in 21% of cases in his labs, so that’s one estimate of how often mosaicism can actually be detected. At another ASRM, a large private clinic presented their own data, in which they biopsied three pieces of each embryo (clearly not embryos that were being used in transfers), allowing them to confirm or deny their classification of chromosomally normal, abnormal, or mosaic. They reportedly found a 3.7% mosaic rate using NGS testing. Array CGH, an older technology, detected mosaicism in 4% of embryos. But even with sensitive technology, it’s still possible for mosaics to be missed entirely if a biopsy happens to only contain cells that are all euploid or aneuploid, with no mix. Munne also showed that, interestingly, mosaicism did not increase as maternal age increased, making it different from the rate of aneuploidy which increases drastically with maternal age. There are some other things we’re starting to learn about mosaicism rates. We know that the rates have real heterogeneity, both depending on which IVF clinic grew the embryos to blastocyst stage, and which lab is doing the testing and the technology they test with. Munne’s presentation at ASRM showed a vastly different aneuploidy, and mosaicism, rate when the same reference lab tested embryos cultured by different IVF clinics. This is just one more reason that choosing a clinic with a great embryology lab is so important—lab quality can directly impact the quality of your embryos. Another study presented this year at the European Society of Human Reproduction annual conference determined that the varying culture conditions at different labs put unique stresses on growing embryos, resulting in different amounts of mosaicism. All embryos were tested at the same reference lab, and they saw that some IVF clinics were consistently making embryos with 32% mosaicism and others made embryos with mosaicism rates as high as 60%. The field is furiously trying to understand the incidence and the impacts of mosaicism. In an effort to find out mosaicism’s impact on miscarriage rates, a team at NYU went back and looked at 173 embryos that had been considered euploid and transferred. The initial tests had been done using array CGH before transfer. They later tested the same samples with high resolution Next Generation Sequencing technology. Upon review with NGS, 26% of those embryos they had called normal were actually mosaic. What were the consequences? A lot of patients either had a chemical pregnancy or miscarriage. There are two important insights to pull out of this NYU study. The first is that embryos that are determined to be euploid by NGS deliver live birth rates at well over twice the rate of mosaic embryos, or 53% versus 22% in this retrospective study. So if you had to decide between transferring a normal or mosaic embryo, you’d clearly want to use the normal embryo. The second insight is that some portion of mosaic embryos still can lead to a live birth. So mosaic embryos are more valuable than embryos that are fully abnormal, which almost never lead to live births. Hence, as a patient, you sorely want to make the distinction between a mosaic embryo and an abnormal embryo. With a mosaic embryo, there is still some hope, especially if that’s your only choice. If PGS-normal embryos are better than mosaic embryos, then mosaic embryos are better than abnormal embryos. These birth rates make sense when you look at the data Munne presented at ASRM, which found that of the 21% of embryos found to be mosaic through NGS, 40% of those embryos had normal inner cell masses, the cells that make up the fetus. In some ways, the reason we’re learning this now can be construed as a sign of progress: we have more sophisticated technology to count chromosomes. Many third-party laboratories now analyze embryos using high resolution NGS, which has greater levels of sensitivity (picking up issues that actually exist) than previous platforms. Are All Mosaics Created Equal, or Are There Shades of Grey? 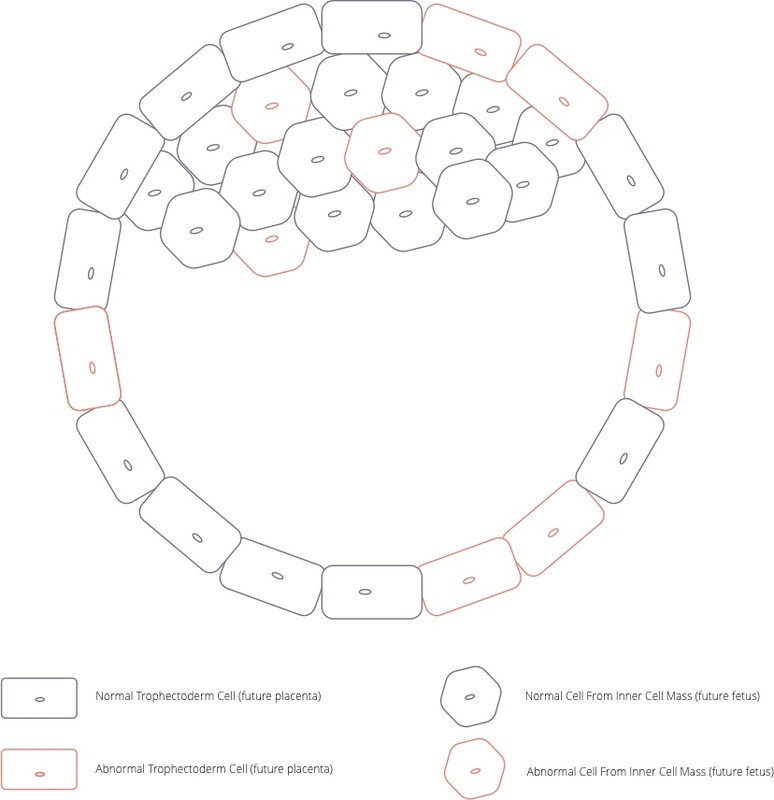 Even classifying an embryo just as “mosaic” might be overly simplistic. There is evidence to suggest that mosaic embryos with a lower percentage of abnormal cells perform better and give patients a better chance of pregnancy than mosaic embryos with a higher percentage abnormal cells, which is pretty intuitive. A more common definition of “normal” is an embryo with less than 20% abnormal cells, and “abnormal” is more than 80% abnormal cells. Mosaics comprise the entire spectrum in between. Munne’s ASRM presentation included data that transfers of mosaic embryos with a high percentage of abnormal cells, between 40 – 80% abnormal, resulted in a 55% pregnancy rate, but a 50% miscarriage rate, so an ongoing pregnancy rate of 27%. In contrast, mosaic embryos with less than 40% abnormal cells resulted in pregnancies 61% of the time, with an 11% miscarriage rate, for a 46% ongoing pregnancy rate overall. Of course, “normal” embryos with less than 20% abnormal cells performed the best, with 60 – 80% pregnancy rates, 4 – 8% miscarriage rates, and overall 52 – 72% ongoing pregnancy rates. So finding out that your embryos are “mosaic” can mean something different depending on just how mosaic they are. If the only embryos you have for transfer are mosaic, the highest priority should be those with the lowest percentage of abnormal cells, preferably with less than 40% aneuploid cells. Is it Safe to Transfer Mosaic Embryos? Of course, there are ethical questions about transferring embryos that we know to be partially abnormal, for fear of knowingly increasing the risks of birth defects. But one thing up front: mosaic embryos and abnormal embryos are frequently transferred in IVF cycles where no PGS testing is done. And when couples conceive naturally, without assisted reproductive technology, pregnancies result from mosaic embryos. That said, there are certain types of mosaic embryos that carry elevated risks, and if your only option is to transfer a mosaic embryo, then meeting with a genetic counselor is probably a good idea. There’s some debate on which types of mosaics should be deprioritized, but generally issues on chromosomes that can still result in a live birth or very late miscarriages cause the biggest concern. Issues with chromosomes X, Y, 2, 7, 13, 14, 15, 16, 18, and 21 are considered higher risk. So were those “abnormal” embryos really abnormal? Another, unsettling, question, is how often have we been marking embryos as abnormal, when they should be classified as mosaic? We must presume some portion of those mosaic embryos, even the ones that appeared abnormal and were not transferred, could have delivered healthy pregnancies. How many is tough to say, because we never transferred them in the first place. In Munne’s presentation, he showed that of 20 samples that where classified as mosaic by NGS, but not by aCGH, the original classifications by aCGH had been 16 euploid and 4 aneuploid. This is a very small sample size, but it still shows the potential for listing something as aneuploid that is really mosaic. The implication is that there are a lot of patients who were told their embryos were hopeless when there was some chance they could have worked. If you are one such patient, and still interested in conceiving, you may want to ask your clinic if your embryos were mosaic. It now seems obvious that just as we make a distinction between “normal” and “abnormal” embryos, we need to begin making a distinction for “mosaic” embryos, and even the types of mosaic embryos. Having a forced hierarchy of embryo quality can help the patient and doctor prioritize for the 80% of patients who have access to more than one embryo to choose from. Stunningly, many labs refuse to tell patients if their embryos are mosaic. Many clinics told their patients to do PGS because of its valuable “thumbs up, thumbs down” decisiveness and are now not pleased that they have to explain to patients that there’s ambiguity. In fact, we’ve come across a number of the third-party labs that don’t even tell the clinics themselves because their “client clinics would rather not know.” Even if it’s very close to the line, they just make a black and white judgment call, with no shades of grey. The reality is that you are the client, not the clinic, as you pay the third-party laboratory directly, and it is your medical information. This is clearly an issue for patients, and if your decide to have PGS performed, you should have an understanding in place with your clinic and outside laboratory that you will see a breakdown of results that include which embryos are mosaic, and that you will come up with a plan as a team to ranks which embryos to use based on what the data shows.